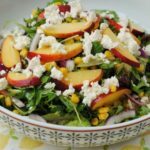 If adding fruit to a salad if a fairly new thing to you, then start off with this Grilled Peach, Corn and Feta Salad. 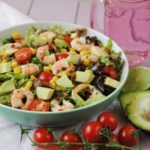 The peach adds a really light and fresh taste that pairs perfectly with the creamy corn and feta. 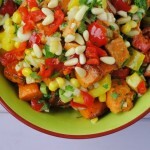 This Mediterranean Roasted Butternut Squash Salad just might be THE salad to prove that salads don’t have to be boring. 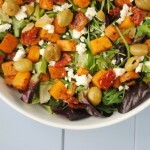 Instead of the flavours of the butternut squash, feta, olives and sundried tomato all competing against each other, they compliment each other in a flavour packed salad. 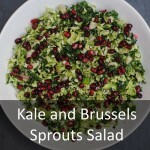 I know some people think I am a little crazy for eating salads all throughout the winter, but I honestly believe that they are not just for summer. 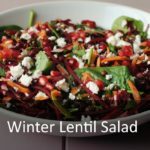 They are the perfect meal to use up leftovers and they are quick and easy, meaning they should be enjoyed all year round.